The ability of this versatile food wrap to cling to both food and containers makes it superior for forming an airtight seal. There are many varieties of plastic wrap, some of which are thicker, cling better and have better moisture-vapor retention than others. 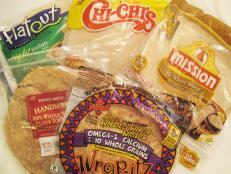 Most plastic wraps are made of polyethylene, whose components are not absorbed by foods to any degree. The wrap that is considered to have the best cling and moisture retention is made of polyvinylidene chloride, another leading brand is made of polyvinyl chloride (PVC). For added flexibility, both require the addition of plasticizers that, if in direct extended contact with food, can be absorbed. However, the USDA has approved their use with food and, though little is known of the effects of human ingestion of plasticizers over a prolonged period of time, there is no current evidence that they are harmful. There is some concern, however, that wraps containing plasticizers can transfer their components to food during lengthy heating in a microwave oven. Are Plastic Food Containers Really Safe? 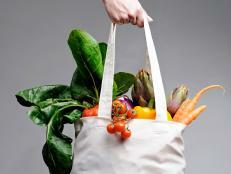 Recent studies have suggested that a chemical called bisphenol-A (a.k.a. 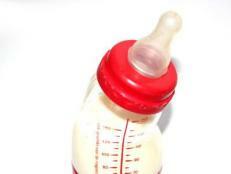 BPA), which is found in plastic containers, is hazardous to your health. Time to clear out the cupboards and switch to safer alternatives. Is There Plastic in Your Bottled Water? 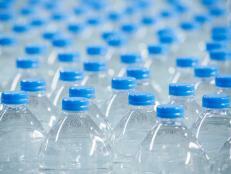 A new study finds that most bottles of water may contain microplastics. Forget plastics. 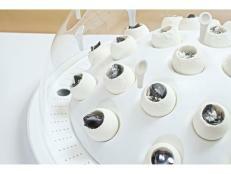 The future may be in edible, plastic-eating mushrooms cultivated in a futuristic pod. And you can buy them for less than $15 on Amazon. 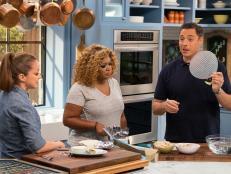 Next time you make burritos, try these construction tips from Food Network Kitchens' Katherine Alford. 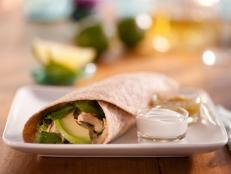 Tortillas can be a tasty and healthy vessel for just about any meal. The 5 recipes here use flour tortillas. For a gluten-free option, use corn tortillas. Fruity kalamata olives and olive oil give this tuna tons of flavor (you won’t miss the mayo). Parsley and lemon juice add the perfect amount of freshness. 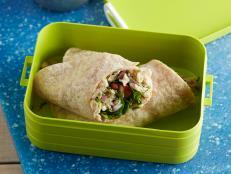 Wraps are a fun alternative to sandwiches. Curious to which are the healthiest and tastiest? 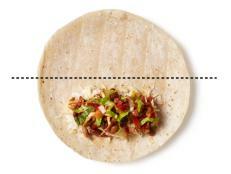 Find out how 5 popular flour tortillas (a.k.a. 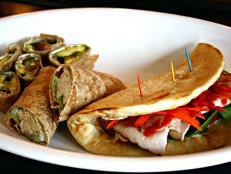 wraps) fared in our taste test.